Nov. 12, 2018 -- Isabel Wazny had tried everything to get to sleep. A lifelong night owl whose sleeplessness worsened as she aged, she sipped chamomile tea, popped antihistamines, and listened to relaxation tapes before bed -- all to no avail. Some days she’d call in sick to work, afraid she couldn’t drive safely. After she retired, she started staying up all night. “There’s no one to talk to at 3 a.m., and when you sleep all day, it’s hard on your social life. I was getting really depressed,” says Wazny, 63, who lives in British Columbia. When she asked her doctor for sleeping pills, she recommended melatonin instead. Today, her life has turned around. Wazny is among a growing number of sleep-deprived consumers turning to a once-little-known hormone, often referred to as the “sleep hormone,” for relief for themselves and their families. In all, U.S. consumers are expected to spend more than $425 million on melatonin supplements in 2018, up from $259 million in 2012, according to Nutrition Business Journal. More than 3 million adults and close to a half-million children take it, and that number is expected to grow as more sleep-deprived families clamor for cheap “natural” remedies and companies roll out everything from melatonin teas to mouth sprays to animal-shaped gummies. But with such growth have come concerns that consumers have a view of the potent, complex hormone that’s too simple. In March, three workers at a day care in Illinois were arrested for slipping melatonin gummies to 2-year-olds to hasten their naps. When questioned by police, they said they assumed it was safe since it was sold over the counter. The growing use, or misuse, is showing up in other ways. Calls to poison control centers about melatonin have skyrocketed. There was an 86% increase in calls about children exposed to melatonin from 2014 to 2018, according to the American Association of Poison Control Centers. Just since January, there have been nearly 30,000 calls about melatonin -- 24,000 of them about children 12 and under. Taken at the right time, in the right dose, melatonin can, indeed, repair a sleep schedule thrown off kilter by jet lag, a long weekend filled with late nights, or certain circadian rhythm disorders. And for some people, it can have a mild hypnotic effect. But as a remedy for general sleeplessness, it has its limits. And when it comes to its use in children, concerns abound. Melatonin supplements appear to be safe when used short-term; less is known about long-term safety. Discovered in 1958, melatonin is a hormone that the body makes to help regulate our circadian rhythm, or natural body clock. Light is the switch that controls it: As daylight fades, levels of melatonin begin to rise about 1-3 hours before bedtime, nudging us to become sleepy. In the morning, when light hits the eyes, it signals the brain to halt melatonin production, and we grow alert. “Melatonin is a sleep regulator, not a sleep initiator,” says Breus, author of The Power of When. Since the 1980s, dietary supplement makers have billed melatonin made in a lab as a promising sleep aid. But studies show its effects on occasional insomnia for the general public are mild at best. “When you are already making melatonin naturally at night, taking a little bit more is kind of like spitting in the ocean. It doesn’t do much,” says Cathy Goldstein, MD, an assistant professor of neurology at the University of Michigan Sleep Medicine Clinic. Alfred Lewy, MD, professor emeritus at Oregon Health & Science University and a pioneer in melatonin research, says he has found that a larger dose (3 milligrams or more) can have a hypnotic effect on about one-third of people who take it, making them feel sleepy. Experts do agree that taking melatonin supplements can have a big effect on treating circadian rhythm disorders like delayed sleep-wake phase disorder, in which the body’s natural melatonin levels fail to rise at a normal time, making it hard to fall asleep and hard to wake up in the morning. One study, published in June in the journal PLOS Medicine, looked at 116 men with the disorder and found that those who took 0.5 milligrams of fast-release melatonin 1 hour before their desired bedtime at least 5 nights per week fell asleep 34 minutes earlier on average, slept more soundly, and saw their sleep patterns normalize after 4 weeks. “Say you are an extreme night owl who only begins to feel sleepy at 4 a.m. and likes to sleep until noon. You could take low-dose melatonin (0.5 milligrams) at 11 p.m., well before your natural melatonin kicks in. Not only will it help you feel sleepy earlier, it will start to pull your internal clock earlier too,” says Goldstein. Melatonin also works great for jet lag from eastward travel, says Breus, who personally takes 0.5 milligrams of melatonin 90 minutes before bedtime in the place he’s traveling to. After a weekend of staying up late and sleeping in, a low (0.3-milligram) dose of melatonin late Sunday afternoon can also help you get to sleep at a regular hour and avoid the “Monday morning blues” that often happen when your days off disrupt your body clock, says Lewy. (Caution: If you are one of those people melatonin makes sleepy, don’t drive after taking it). His research also suggests that for some people, as little as 0.3 milligrams of melatonin daily in the late afternoon may ease symptoms of winter depression brought on by shorter days and shifting circadian rhythms. But because a small number of people respond better when taking the melatonin in the morning, he only recommends its use for this purpose under a doctor’s guidance. Melatonin is the second most used natural product for children. Studies show that it can also help children with autism spectrum disorder (ASD), who tend to have lower levels of melatonin, and children with ADHD, who tend to have trouble falling asleep and staying asleep. One recent study of 125 children and teens with ASD found that those who took larger doses -- from 2 milligrams to 5 milligrams -- of prolonged-release melatonin for 13 weeks were sleeping about an hour longer per night, with fewer sleep disturbances, by the end of the study. But other researchers say they’re concerned about its safety. In 2015, researchers from Australia published a study pointing to research that linked melatonin use on rodents to changes in when they start puberty. The report also notes that in the early 1990s, scientists were looking into high doses of melatonin as possible human birth control because of the way it could affect the reproductive system. "Considering the small advances melatonin provides to the timing of sleep, and considering what we know about how melatonin works in the body, it is not worth the risk to child and adolescent safety," warned lead author David Kennaway, head of the Circadian Physiology Laboratory at the University of Adelaide's Robinson Research Institute. Canapari notes that the findings were in animals, and no research has shown similar effects in children. But there is little research on melatonin’s safety in young children. So if his patients are taking the hormone nightly for a long time, he follows them closely to be sure no unusual hormonal changes arise. He also advises against giving melatonin -- or any other sleep medication -- to a child under 2. And he urges parents struggling with routine bedtime restlessness to reach for other tools -- dimming the lights at night, banning electronic use an hour before bedtime, setting a bedtime routine -- before reaching for melatonin. “Families need to make sleep a priority and not just try to medicate their way out of the problem,” he says. While short-term use of melatonin in adults is generally considered safe, taking too much can lead to bad dreams and grogginess the next day, notes Breus. It can also make some drugs less effective, including high blood pressure medications and, potentially, birth control pills. And some research has suggested it can make people with seizure disorders more likely to have them, so they should always consult with a doctor before trying it, says Canapari. Because dietary supplements are not regulated as much as prescription drugs, quality can vary wildly from bottle to bottle. 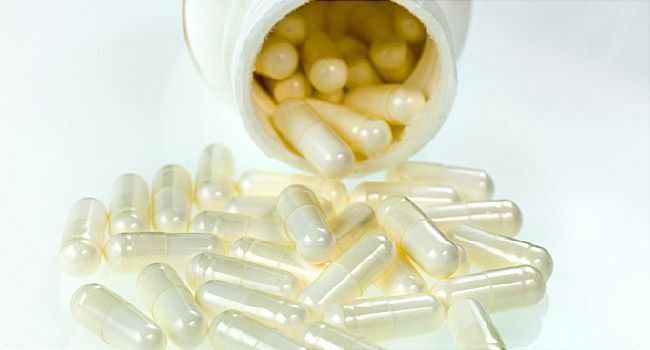 One recent study found that 71% of melatonin supplements surveyed did not contain exactly what they said on the label: Some had more than four times as much melatonin as they said they did, and 26% contained the powerful neurotransmitter serotonin. “When it comes to product quality, it’s a bit like the Wild West out there,” says Canapari. And different people require different doses, he says, noting that more is not necessarily better. He suggests people start with a low dose and gradually increase it if it doesn’t work. On the flip side, “I’ve had patients who were taking a higher dose, I lowered it, and they did better,” he says. Canapari notes that unlike with sleeping pills, it’s hard to overdose on melatonin. But taking too much can make you feel sick. The American Association of Poison Control Centers reports that calls about melatonin skyrocketed 114% between 2012 and 2016, with 79% of the 24,000 calls in 2016 involving children. Parents often called poison control after their children got into the hormone mistakenly or took too much. That can lead to nausea, diarrhea, headaches, changes in mood, lasting sleepiness the next day, and bed-wetting. The bottom line: For adults with body clocks thrown off for one reason or another, and for sleepless children with autism and ADHD, it is absolutely worth trying, experts say. Just choose your brand wisely, work with a doctor to get the dose and timing right, and once your sleep schedule is back on track, stop taking it. Most dietary supplements haven’t been tested in pregnant women and nursing mothers. If you’re pregnant or nursing, it’s especially important to see your doctor before taking any medication or supplement, including melatonin. Michael J. Breus, PhD, clinical psychologist; author of Good Night: The Sleep Doctor’s 4-week Program to Better Sleep and Better Health. Plos One, “Meta-Analysis: Melatonin for the Treatment of Primary Sleep Disorders”Cathy Goldstein, MD, assistant professor of neurology, University of Michigan Sleep Medicine Clinic. Alfred Lewy, MD, professor emeritus, Oregon Health & Science University. Craig Canapari, MD, director, Yale Pediatric Sleep Center. PLOS Medicine, “Efficacy of melatonin with behavioural sleep-wake scheduling for delayed sleep-wake phase disorder: A double-blind, randomised clinical trial.””. Journal of the American Academy of Child Adolescent Psychiatry, “Efficacy and Safety of Pediatric Prolonged-Release Melatonin for Insomnia in Children With Autism Spectrum Disorder.”American Association of Poison Control Centers.